Sold! Riding season is just around the corner. 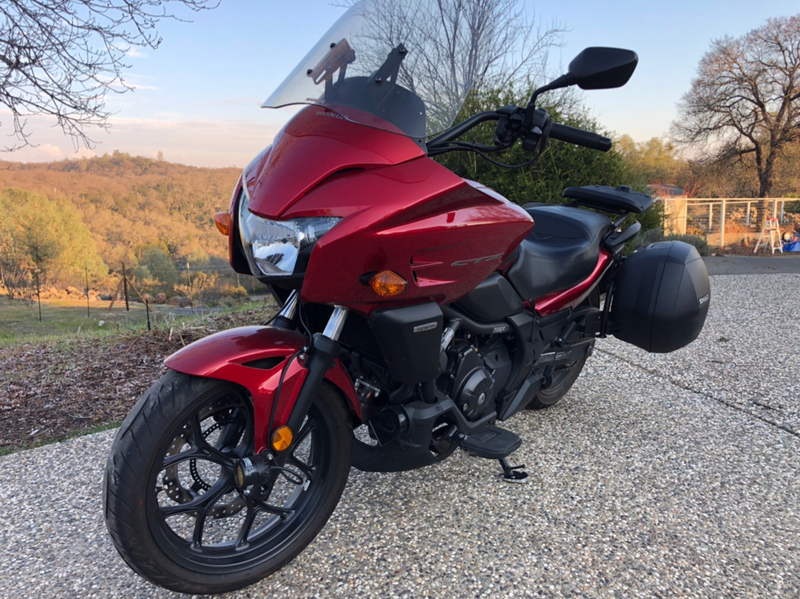 Here is a gently used, Candy Red 2017 HONDA CTX 700 with DCT (Dual Clutch Transmission). ABS brakes. Great first bike or for someone looking for a cruiser style bike that is easily manageable due to its low center of gravity and weight distribution. Clearwater running lights with yellow lenses makes you easier to see. Clearwater Bllie Brake light adding additional visibility from the rear. Complete SHAD side and top cases including the Shad 58X expandable top case. Seth Laam custom leather saddle. Madstad Windshield, OEM short windscreen also included. This is the wifes bike and she has just lost interest in riding solo. Is happy as a pillion rider. The bike is in excellent condition and ready to ride. Call or text for more info. Please no test rides without M1 license, Helmet and cash in hand. Last edited by Radiomerchant; Yesterday at 08:50 PM. Didn't say how much ??? And BTW, the Area Code is in northern part of the People's Republik of Californiastan. Riding season is just around the corner. Here is a gently used, Candy Red 2017 HONDA CTX 700 with DCT (Dual Clutch Transmission). ABS brakes. Great first bike or for someone looking for a cruiser style bike that is easily manageable due to its low center of gravity and weight distribution. Clearwater Billie Brake light adding additional visibility from the rear. All times are GMT -7. The time now is 12:59 AM.